If you get a speeding ticket when you are traveling in a different state from where you reside, you cannot just ignore the out of state speeding ticket. You also should think twice about simply paying it, even if that is a tempting prospect because it seems like the easiest solution. Many people get speeding tickets when traveling in New York, and traveling back to the city or the state can seem like a major hassle when you could just pay a fine for the ticket. However, there are serious downsides to just admitting that you broke the state’s rules on speeding. You need to consider the pros and cons of paying your fine versus fighting the ticket — which means you need to know the downsides of both options. NY Traffic Firm can help you to determine what course of action is best for you. Our New York traffic ticket lawyers will help you to understand the consequences of paying the ticket and admitting guilt and will assist you in determining if you have a viable way to fight the ticket. We can also help you to put together a defense to accusations of speeding and will work with you to resolve your traffic violation as quickly and cost-effectively as possible while still maximizing the chances the outcome of your case will be a favorable one. To find out more about how our legal team helps with your speeding tickets, whether you are from New York or out of state, give us a call today. You don’t have roll over, pay the citation and be done. Over-eager traffic enforcement intermingles with errors every day. Always be ready to fight back. The odds are in your favor when you work with NY Traffic Firm. Throughout the United States, there are agreements between the majority of states to share information about driving offenses committed locally. The Drivers License Compact, for example, is an interstate agreement that both New York and New Jersey participate in, among numerous other participating states. The Compact allows for information to be shared about moving violations, license suspensions and other traffic violations or traffic crimes. Because of the Drivers License Compact, if you get a ticket outside of New York, New York will be notified if that is where your license is from. Likewise, New York will notify your home state of a conviction for violating the rules of the road. Your own state will give you points on your local license upon your conviction for a speeding ticket in any locale, which could potentially put you at risk of a driver’s license suspension if you get too many points in too short of a time. License points and a black mark on your driving record can result in disqualification from jobs mandating a clean driving record and can lead to higher auto insurance costs. These consequences can follow you for a long time. And, of course, you’ll also have to pay the fines associated with the speeding ticket in the state where you were ticketed. If you hope to avoid these or other undesirable consequences of out-of-state speeding tickets, you will need to vigorously defend yourself when accused of going too fast. NY Traffic Firm has represented many motorists who live in New Jersey or other states in the U.S. and who are ticketed when they visit the state of New York. We can try to resolve your case with the minimum trips back to New York to fight for your rights, and we can help you to put together a solid case to try to avoid a guilty verdict for speeding. Don’t put your driver’s license at risk and potentially affect your ability to drive in your home state just because you got a ticket in New York. Instead, give us a call to find out how our experienced, skilled New York speeding ticket lawyers can help you to respond in the most appropriate way possible to an out of state speeding ticket. Traffic infringements happen to everyone — and can occur anytime. No one is immune to ever-changing traffic laws. Navigate through the multitude of New York State Vehicle Traffic Laws – We beat 1000’s of traffic tickets. 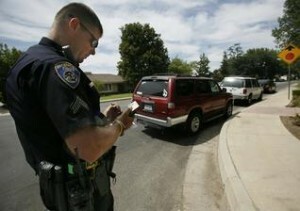 We have efficiently helped thousands properly fight ill-gotten traffic tickets. Chances are, we can help you as well. Send your ticket. We will help.